Basic Powers: To achieve victory over adversity and justice. A symbol of divine protection, of justice and honor in war or duel. It can be used to defend against or attack known enemies. It ensures victory and the righting of injustice, and can be used to bind an oath. Painted on shields to give bearers more courage and to protect in battle. 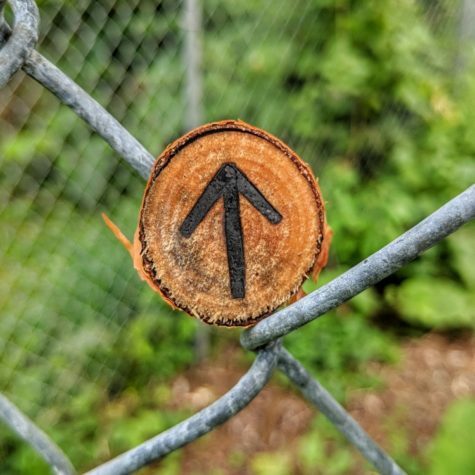 This is the great rune of victory and symbolizes kings and leaders of men. 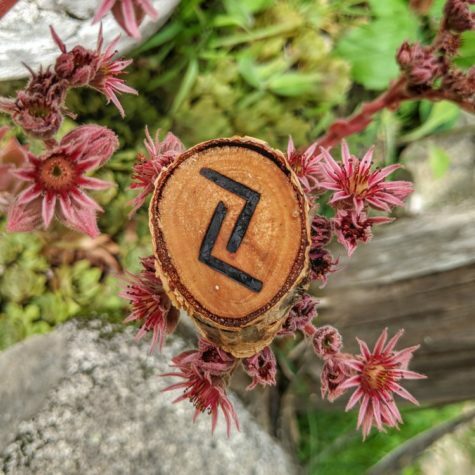 Tiwaz is the rune of “might for right” and as such is valuable in a runescript when you have been unfairly denied something or have been falsely accused. It is indicative of the fighting spirit, of trial by combat and fearlessness. It is the primary masculine rune. Victory. Use whenever competition is a factor. Good for health and encourages quick recuperation. In love matters, Tiwaz is used to symbolize the ardent male. Obtaining just victory and success. Building spiritual will. Develops the power of positive self-sacrifice. Develops the “force of faith” in magic and religion. 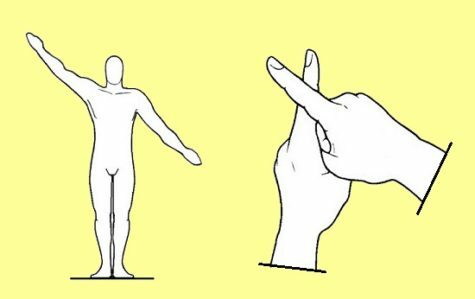 Stand up, with the arms out of the body and inclined downwards, in the form of the sign. The palms of the hands have to look towards the ground although you can also experiment by turning them upwards. Basic Powers: To bring events to culmination. Comfort; harmony with others. A symbol of right thoughts and right action leading to right results, a culmination of efforts over a long period of time. It is also good for gardening, farming, having a happy home, and good times. Put Jera over the door of your house on New Year’s Eve. Use indelible ink because the luck is meant to last as long as Jera remains there. Jera is the rune of the harvest, of rewards arriving at their proper tine. It also governs legalities of all sorts and is useful in all legal matters. Use when a tangible result is expected for an outlay of money, time or effort. Helps to bring events to pass. Helps in legal matters. Fertility. Fertility, creativity. Peace, harmony. Enlightenment. Realization of the cyclical nature of the multiverse. Realization of the mystery of the omnipresent circumference. Bringing other concepts into material manifestation. Basic Powers: To achieve long-term goals or help lost causes. For all forms of success and all types of achievement. However, remember that a gift, and take note of the associated god. Useful for harnessing internal power, intuition and creativity, the ability to achieve, as with a sudden rush of adrenaline or creation of momentum. The fourth of Odin’s runes frees one from locks and fetters, which ties in well with the meaning of Nauthiz. 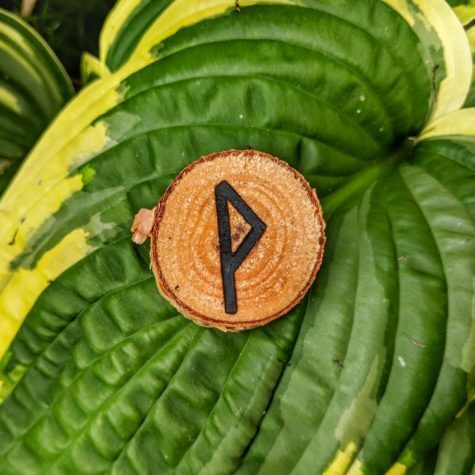 This rune has two aspects and you would do well to remember them when formulating your runescript. Nauthiz represents need and distress but also the release from that distress. Through the utilization of this rune by the will, one can change Fate via knowledge and wisdom. 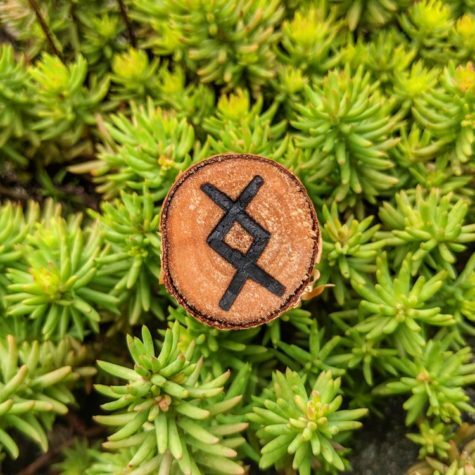 This rune is a very powerful rune in Icelandic love magick and represents the primal needs and desires that drive you to seek out a lover. Overcoming distress. Achieving your goals. Protection. Love magick and to find a lover. Impetus to get a relationship off the ground. Overcoming distress or negative energy. Development of magical will. Development of “spiritual” powers. Protection. Use of the force of “resistance” under will toward magical goals. Sudden inspiration. Eliminates hate and strife. Creates a need for order. Recognition of personal need. Love magic–to obtain a lover. Divination. 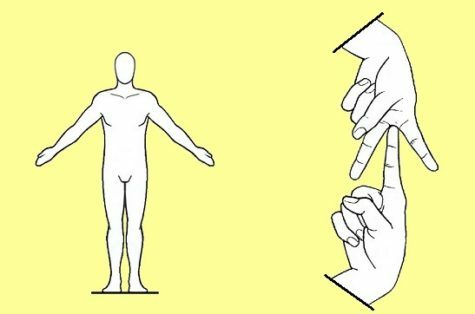 Stand up, with the right arm raised to the right and the left arm inclined to form a straight line with the right one. Basic Powers: To bring happiness and spiritual transformation. Gaining the favor or untapped power of superiors, whether mortal or immortal; obtaining promotion or passing tests. It is also useful for gaining wisdom, and is very useful for timing spell results. If you want a spell to work at a particular time, Wunjo can be used to control the release of spell energy. So a talisman might use Wunjo (or wynn) to be made to work for nine days, in nine days, or some similar feature. Our method of measuring time (e.g;., four o’clock on Thursday) is not suitable, and the rune works at its best in a multiple of nine. Wunjo is the rune of “happily ever after”. It is generally used in the final position as a significator of success and happiness. Fulfillment in any area, especially love or career. Success in travel. Strengthens links and bonds. Invocation of fellowship and harmony. Banishes alienation. Happiness and well-being. Realization of the links and multiplicity of relationships of all things. Binding runes toward specific purposes. Magickal Properties: Offerings to remove obstacles, appease hungry ghosts, sweeten the path. The concept of “trick or treat” is based on the idea of appeasing ghosts and spirits with candies and sweets. Chocolate, sugar, candy, honey and other natural sweets have always been associated with love and can work wonders in love magick. Specific sweets make quite an impression on certain deities. Ellegua or Legba, the Yoruban god of the crossroads, loves striped peppermints, caramels, and coconut or rum flavored candies. Leave them in multiples of three in a crossroads and ask him to clear your path of obstacles. The Hindu god Ganesh, remover of obstacles, is fond of old fashioned milk candies and will remove blocks in exchange for them. This is best accomplished with a small altar, and the daily recitation of his mantra. “Om Gum Ganapataye Namaha,” to go along with the offerings. The modern urban goddess Squat rules parking spaces. She’ll get you a legal one if you chant, “Squat, Squat please give me a spot,” but she expects to be rewarded with a piece of chocolate left at the curbside front wheel. Without this sweet offering she may send a tow truck after your car. 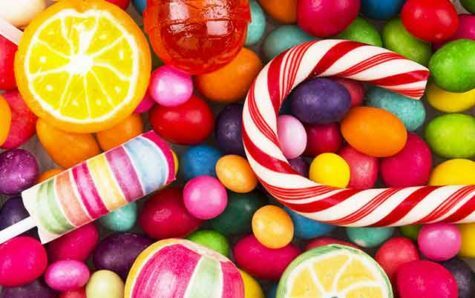 Candy can also be left in graveyards when appealing to the spirits of the dead for aid, left on the doorstep of a business when applying for a job to “sweeten the proposal,” or placed in a bowl in the lobby of a business to attract happy customers. 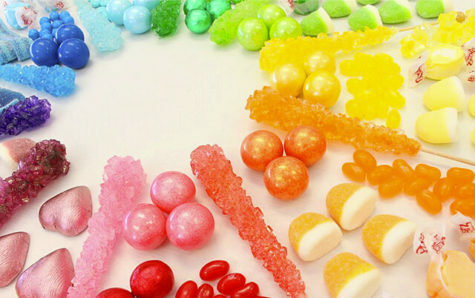 Candy can also be charged with a specific intent and then eaten to internalize the magick. The basic method is rather simple. First, gather the candy that you want to use for your spells. Place them on your altar. Now relax and visualize. Imagine the energy associated with your spell going into the appropriate candy. If you have a piece of pineapple flavored candy that you wanted to use in a money spell for a raise in your allowance, visualize “money energy” filling up that piece of candy. Visualize yourself as having the extra money you needed. How will you feel? What will you do? imagine all these images filling up your pineapple candy. Once you have your candy charged, simply wait until you feel that you need to release the magick. When that time comes, pop the charged piece of candy in your mouth. 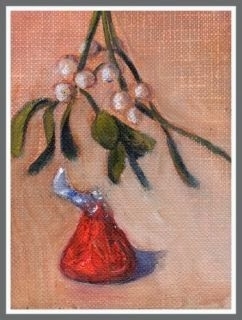 Savor the taste of the candy as you visualize releasing the energy into the universe to fulfill your intent. You’ll be casting powerful spells, and all anyone will notice is someone enjoying a piece of candy! Charmed are these candy treats. Good fortune to all I merry meet! Then give out the candies to friends and family and three people you don’t know. Put the candy in your hand and point at it with your index finger while you say: “Ordinary candy turn into lucky candy.” Then devour it. 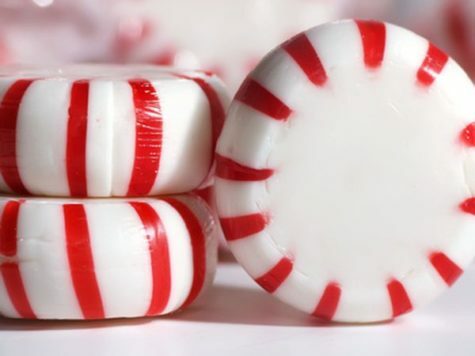 To empower your child to heal her own minor complaint such as a headache or tummy ache, give her a peppermint. Have her hold it in both hands and imagine that it’s filled with very bright, golden white light like the sun. Explain that this light has healing properties and knows exactly what to do to help her feel better. Then instruct her to let the candy dissolve in her mouth, describing how her body will absorb the healing light along with the candy. Provides peace of mind and grounding. Helps to dispel nightmares, negative thoughts, and overcome blockages and unhealthy emotions. It’s great for protection and getting rid of all kinds of nasties. Coffee is a stimulant and can be used to give spells, potions and charms an extra kick, or speed things up. 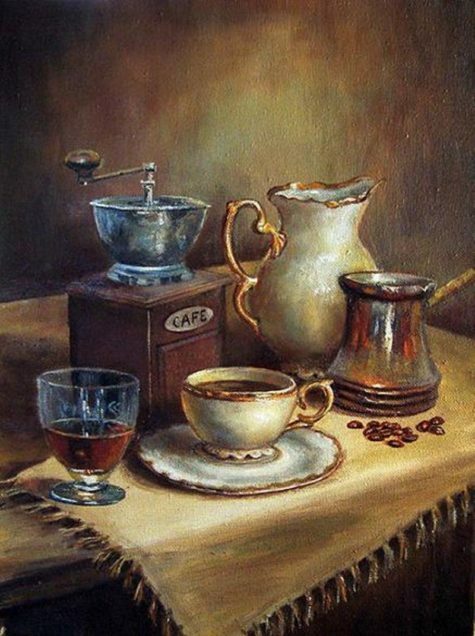 Coffee grounds can be used in divination and read like tea leaves. It is considered excellent for curse breaking. It can be used as an offering to deities, entities, and ancestors. Some sources suggest it can be used for compulsion, and encouraging others to be more persuasive towards you. This is most effective when the coffee is served to the target. 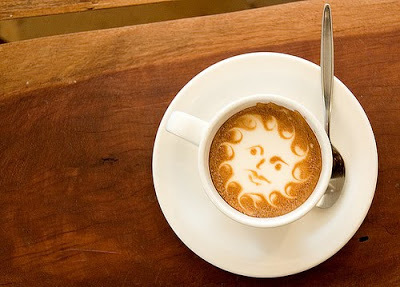 Bubbles appearing in a cup of coffee are a sign of good luck, especially if they are caught with a spoon and eaten. This is hard to do, as the bubbles disappear quickly. However, anyone who achieves it will receive a surprise windfall. The movement of any bubbles on the surface of a cup of coffee can be interpreted. It is a sign of money ahead if they move toward the drinker. Unfortunately, it means the opposite if they float away from the drinker. It is bad luck to stir coffee with a fork. Muslims believe the archangel Gabriel invented coffee. One day when Mohammed was extremely tired, Gabriel brought him a cup of coffee. This invigorated Mohammed so much that after drinking it he defeated forty horsemen and satisfied forty women. Lemon Balm is bound to the moon and water. It is used in spells associated with healing, health, friendship, love, and success. Historically, it is a symbolic plant used to transmit messages between lovers. Basic powers: Love potions, aphrodisiacs, fertility anti-depressant. Lemon Balm is used in spells to bring animal healing, compassion, endings, fertility, happiness, healing, longevity, love, mental, prosperity, psychic, release, success,and youth. Lemon Balm has a long history, dating back to ancient Turkey where it was planted near bee hives to encourage the bees to return home to the hive rather than swarm away. It’s name, Melissa officinalis, is derived from the Greek word Melissa, meaning honeybee, and it was planted and used by the beekeepers of the Temple of Artemis to help keep the sacred honeybees content. In ancient times Lemon Balm was planted by ones front door to drive away evil spirits. It is an herb which attracts, and is sometimes made into a charm and worn to bring a lover into one’s life. Lemon balm (as herb or essential oil) may be used in as an ingredient or substitute for magick spells and formulas related to lunar matters (compassion, dreams, family, fertility, gardening, healing, love, peace, promoting sleep, prophecy, prophetic (or psychic) dreams), psychic awareness, sleep, and spirituality). Considered sacred to Diana, it is believed that it was once used in her temples. lemon balm was called “heart’s delight” in southern Europe. A tea made of the leaves brings calm, which is appropriate for magickal students while preparing for ritual work. Lemon Balm may also be used as a bathing herbe toward a variety of goals. It may be used as part of the ritual process of invoking the Goddess. Writers over the centuries have praised lemon balm for its ability to dispel melancholy and in aromatherapy it is used to combat depression. Its pleasing scent makes it a popular ingredient in herbal pillows, often used to promote relaxation and sound sleep. Lemon balm is associated with the energies of the moon and used to help balance emotions, allowing us to perceive our feelings without becoming wrapped up in them. Drink as an infusion to soothe emotional pains after a relationship ends. For magickal purposes, balm is ideally suited for healing those who suffer from mental or nervous disorders. It is also very useful for those of sound mind who need to keep their mental processes in superior condition. Carry Lemon Balm in a charm or sachet to find love, or burn it as an incense when doing spells related to success. Drink as a Tea to ease emotional pain after the break-up of a relationship or other personal hurt. Soak leaves in wine for several hours, strain, then share the wine with the object of your affection to influence love. Historically, it is a symbolic plant used to transmit messages between lovers. It may be used when sharing a ritual bath with one’s partner; or it may be used to find the fulfillment of one’s personal desires. This usage of lemon balm opens one to the divine love of the Goddess, but is also believed to add energy to one’s being which makes you more appealing in the world of love and romance. Lemon Balm guides us as we traverse the misty emotional state of the Moon and enables us to view our emotions and feelings without getting lost in them. Lemon Balm sachets placed under your pillow or near the bed are reputed to provide a refreshing, relaxing sleep. In folklore, Lemon Balm was used to ward off evil, and to promote good health, love, and good cheer. Lemon Balm’s presence is quiet and strong. Running through the soil like her minty cousins, she spreads just under the surface with steady, clear intention. In this way, she reminds us good cheer and sunny confidence will proliferate even when we’re not aware of their presence on the surface of our lives. Lemon Balm magic is the magic of quiet, steady trust. Lemon Balm’s effect on honeybees, attracting them and encouraging them to remain in their hives, reminds us to nurture our homes, our friends and family, our communities. Through the simple act of contributing to our household, we nurture ourselves. 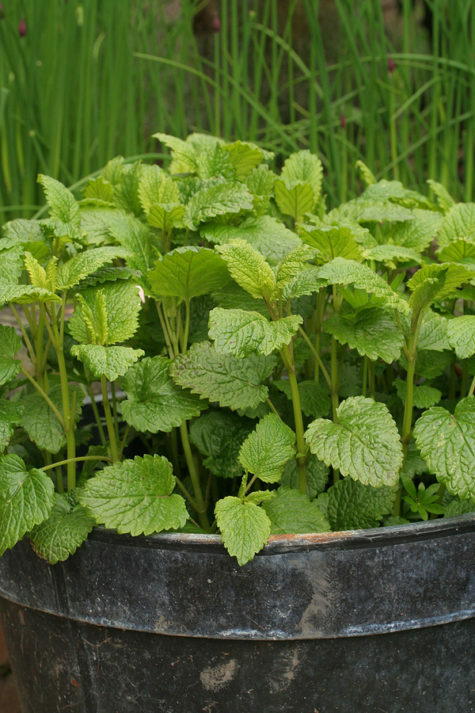 In this way, Lemon Balm asks us to seek joy and peace in the mundane tasks of life as a way of self-nurturing. I like to think of Lemon Balm magic as the magic of relax-its-only-life. That’s the feeling I get from bruising her leaves and taking in her scent. However melancholy I may feel, whatever darkness or heaviness seems to plague my life, the scent of Melissa officinalis always brings a smile to my lips. Lemon Balm magic is the magic of steady, calm, persistent, good cheer. ALLSPICE is burned as an incense to attract money or luck, and is also added to such mixtures. ANGELICA is considered lucky. Rub the root between your palms when you gamble or pick your lottery numbers. 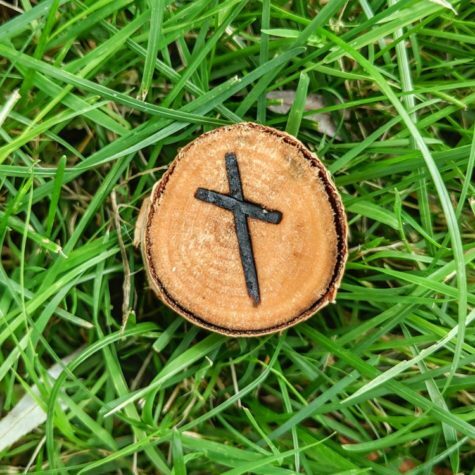 BEECH, carry small pieces of the bark in your pocket for luck and success. BLUEBELL brings luck when it is picked up and the following words recited: “Bluebell, bluebell, bring me some luck before tomorrow night.” Slip it into your shoe to seal the spell. BORAGE, place fresh blossoms on an altar to bring luck and power to your spells. BUCKEYE, rub the buckeye with cinnamon oil and carry in the pocket to increase your luck at winning bets. CINNAMON is a favorite of many gods and goddesses, sprinkle powdered cinnamon on offerings to attract attention and win the favor of the gods. CLOVER or SHAMROCK is a symbol of luck, leprechauns, and wishes and is a powerful talisman to carry. COTTON, placed in a sugar bowl will attract good luck, as it will if cotton is thrown over the right shoulder at dawn. In the latter case, the good luck will come before the day is over. HENNA, stain the hands with henna for luck and protection. HICKORY, burn hickory bark for luck and to dispel evil. HOLLY is carried to promote good luck, especially by men, since the holly is a ‘male’ plant. (IVY is the corresponding plant for women.) It is also hung around the house for good luck at Yule. HORSETAIL, carry the dried leaves in your pocket at the racetrack to pick the winners. HUCKLEBERRY, carry or eat the berries for good luck and protection. IRISH MOSS is carried or placed beneath rugs to increase luck and to ensure a steady flow of money into the house or pockets of the person. IVY, growing ivy brings good luck and protection to a property. JOB’S TEARS: Three seeds are carried for good luck. LUCKY HAND (hand of Power, Hand Root, Helping Hand, Salap) is the root of an orchid plant and is one of the most famous New Orleans magical botanicals. It has long been placed in sachets and conjure bags for luck and general success. MOJO BEANS, also called African wishing beans. Wear them in a necklace or bracelet or carry loose beans in a red conjure bag for good luck. MOSS taken from a gravestone and carried in your pocket, is a good ensurer of luck, especially financial luck. NUTMEG is a gambler’s favorite, it promotes winning in games of chance. OAK MOSS is great for money and luck formulas. ORANGE PEEL is added to prosperity powders, incenses and mixtures, and the Chinese have long considered oranges symbols of luck and good fortune. SEAWEED, scrubbing yourself with seaweed while in the ocean brings good luck and leads to excellent employment opportunities. SHAMROCK or CLOVER is a symbol of luck, leprechauns, and wishes and is a powerful talisman to carry. SNAKEROOT, carry the root of this plant as a luck and money talisman. STRAW is lucky, hence it is often carried in small bags. For a home luck talisman, take a used horseshoe and some straw, sew up into a small bag, and place it above or below the bed. WOOD ROSE is carried to attract good luck and fortune. Also place some in the home to ensure it is lucky as well. YERBA BUENA is added to gamblers’ luck spells to increase your chances of winning.